The zoo clothing market is expanding and Beijing city authorities are worried about the trouble it causes to traffic. The market, probably now the largest clothing market in Beijing opened in the 1980s, but has been booming the last few years and has now a total surface of more than 300.000 square meters, representing more than 30.000 people working in more than 30.000 people and more than 20 billions yuans of turnover. The Beijing’s Xicheng district government held a press conference on the 7th of January, confirming that the market is scheduled to leave the Beijing city center in 2014. This would allow the market to further expand and to modernize itself, an e-commerce platform is going to be added, with an incentive on clothing design. The purpose is to make the clothing market more profitable within an better suited environment. According to Chen Gang, deputy mayor of Beijing, an agreement has been reached with Hebei authorities so that the market will be moved some place inside Hebei. It seems that this news has raised concern among the shopkeepers that work hard every morning to bring clothes here, they are worried that the new place might be too remote and that the market would lose its appeal. It currently is a major landmark for Beijing shopping addicts and many tourists are visiting. They are afraid of loosing customers and that it would be more complicated to bring the goods to the new location. It seems that the scheme is part of a large new city planning going on in order for the cities to meet the future’s requirements. Beijing should focus on high end industry and retail, when low end markets should be moved to second or third tier cities, to better develop these cities and optimize megacities development. The delivery hub of the market would remain in Beijing. 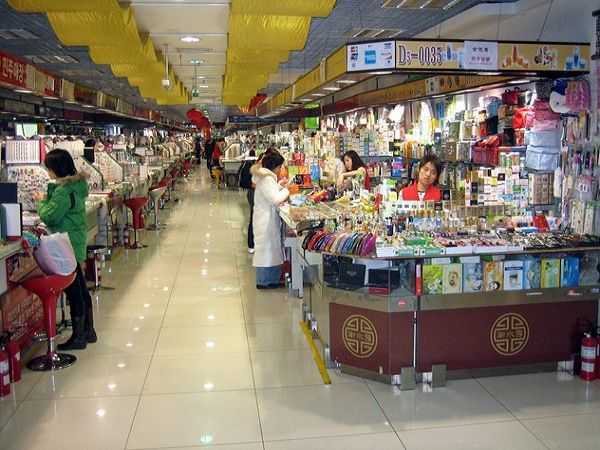 Other markets are planned to move : the Dahongmen clothing market, the Xinfandi farm market and the Shilihe building materials and furniture, three other major markets in Beijing, and very popular ones. There is now waiting among the shopkeepers, to learn more about the new location, probably Yongqing, capital city of Hebei, and to learn more about the compensation, but they are obviously worried about the whole project, especially those who have made large investments in the market.